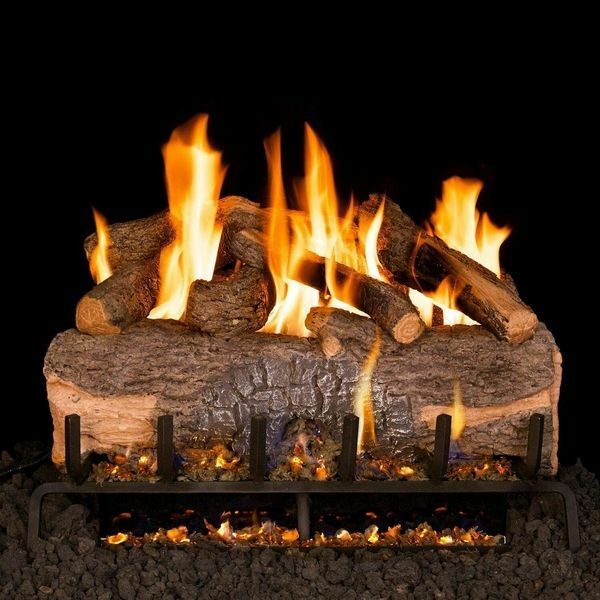 This G31 Real Fyre 18" Mountain Crest Oak Vented Natural Gas Log Set comes with a Natural Gas Match Lit burner. Featuring high definition bark and natural colors with an authentic wood look, the Mountain Crest Oak vented log set is reinforced with steel rods for maximum strength and durability. Superior refractory ceramics provide radiant heat while in operation and after use. The burner is designed to burn efficiently while protecting natural resources and reducing pollution, and has a max BTU rating of 55,000.